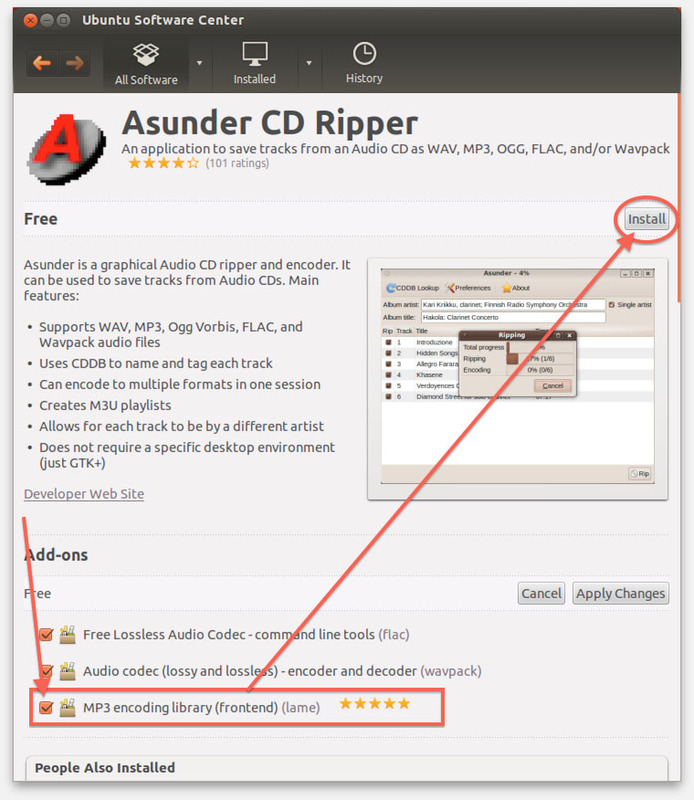 In this tutorial I choose to use ASunder for copying an Audio CD to MP3 files. 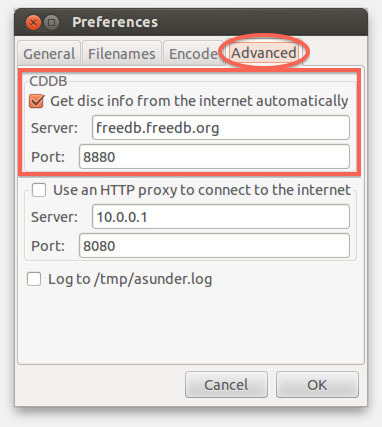 The main reasons for this choice is that it is available under Ubuntu, which is commonly used, and plenty of other Linux flavors, and it supports CDDB. For the Linux platform, quite a few good alternatives can be found: Audex, SoundJuicer, RipperX, XCFA, K3B, RubyRipper, etc. Ubuntu users have it easy when it comes to installing ASunder. 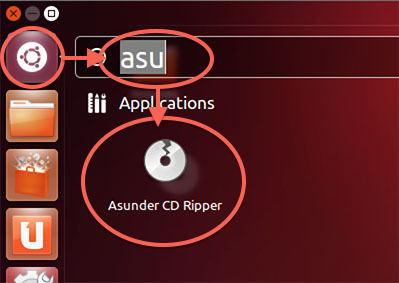 Simply go to the “Ubuntu Software Center” and type “asunder” and click the “More Info” button as shown below. 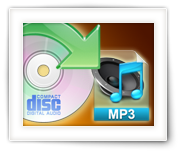 To get MP3 support, you’ll also need to install LAME MP3 – which is free and easy to install as well by checking the “MP3 encoding library (frontend) (lame)” option. Next click the “Install” button. Under Ubuntu this is pretty easy, either by clicking the newly added icon on the left, or by opening “Dash Home” and start typing “asunder” and the application shortcut will appear. Click it to start ASunder. 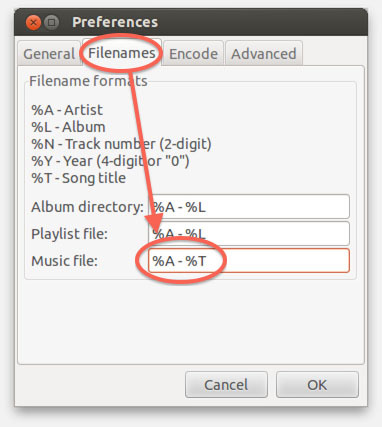 Before we start ripping our Audio CD collection, a few initial settings should be made. For this we click the “Preferences” button. Go through the following tabs, and when finished with all tabs, click “OK“. 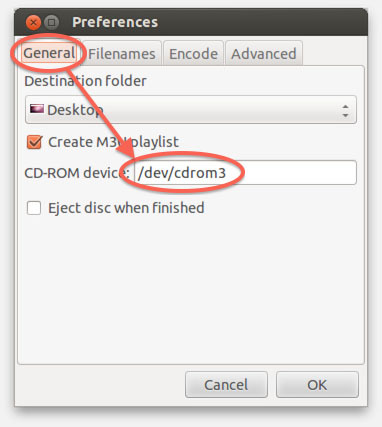 By default under Ubuntu this is “/dev/cdrom“, but depending on your configuration this can be “/dev/cdrom1”, “/dev/cdrom2”, “/dev/cdrom3” etc. Here we also set the destination folder or our freshly ripped MP3’s under “Destination folder“. 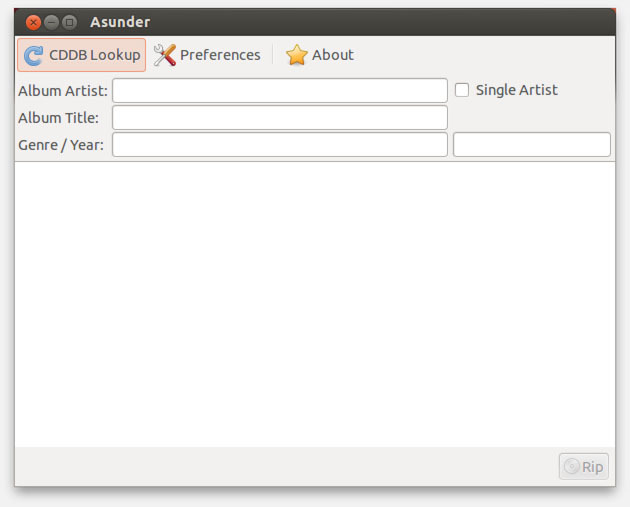 ASunder will create a new folder in the selected destination with the album title as folder name, for the ripped MP3’s of that CD. 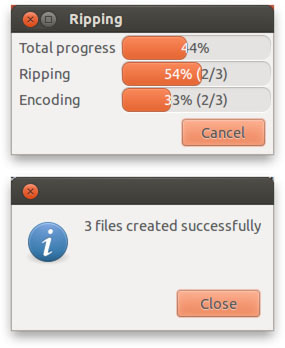 Optionally check the “Create MP3 Playlist” option, which will automatically create a playlist when done with ripping. 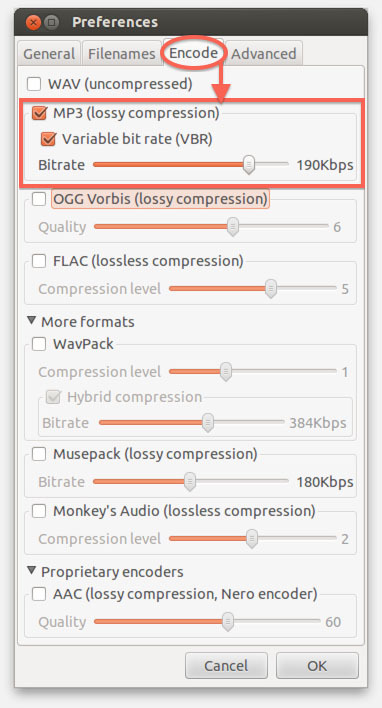 In this tutorial we’re assuming you’d like to use MP3, so uncheck all options, and leave only “MP3 (lossy compression)” and “Variable bit rate (VBR)” checked and set the “Bitrate” slider in the MP3 group to “190Kbps“. 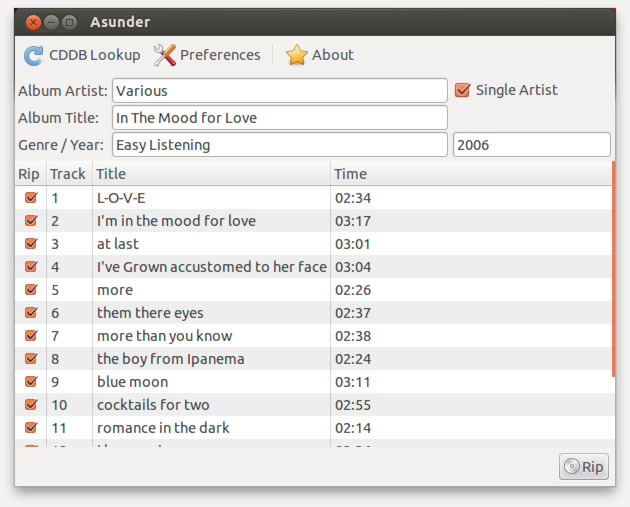 ASunder – What a great selection of file formats! When done with all the settings (which should be a one-time deal), you’ll notice that the main screen changes if you have an Audio CD inserted. If not, insert an Audio CD now. If all names and titles are correct, click the “Rip” button. Note : Homebrew Audio CD’s are rarely properly identified! This is normal, even in applications like iTunes, Windows Media Player, etc. To fix this, uncheck “Single Artist“, and double click the artist name in the “Artist” column to enter the correct artist name. Asunder is lame – no pun intended – because I am trying to rip a CD… I think this worked before, so the CD itself (quite a few light scratches) is likely somewhat to blame. However, only a naive person writes a CD-ripping application (or backend) without accounting for the extremely-likely scenario of scratched or unreadable CDs. If a piece of software doesn’t ‘fail gracefully’, then it is broken – end of story. Or would one rather have people waste lots of electricity with their computers stuck on a hang by Asunder, instead of doing something useful or timing-out and sleeping due to being idle? honestly, I’m not a Linux user, and I have no application for ripping CD’s to MP3’s. You make a very valid point, but… do you know a better application?